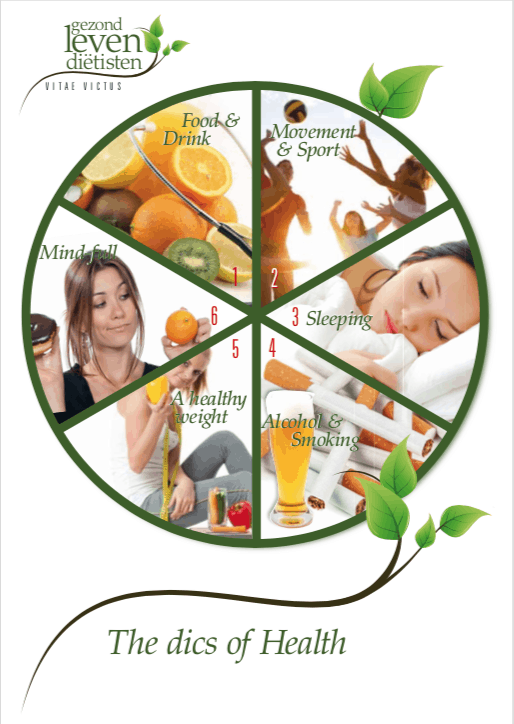 By filling in this form, while using the ‘Disk of five’, together we are able to gain a better understanding of your overall health. During the health check we will ask you questions about the following topics: your diet, your exercise pattern, sleep, alcohol consumption and smoking habits and about a healthy weight and mindfulness. Filling in the form will take about 5 minutes, filling in the app of the eetmeter of FatSecret will take about 5 minutes a day. What is the goal of your consultation? What else can we be of service for you? Do you currently use medication? What kind of medication do you currently use? Do you currently suffer from any medical conditions? Which medical conditions do you suffer from? Do you eat on a regular basis? Do you eat you five a day every day? Do you drink enough water in a day (2L)? Do you eat rice, potatoes or pasta every day? Do you eat bread or muesli every day? Do you drink milk or yoghurt on a daily basis? Do you eat meat or fish or a vegetarian replacement on a daily basis? Do you use cooking oil, (low-fat) margarine or dairy butter on a daily basis? Exercising enough is good for your wellbeing and boosts your metabolism. Combined with a healthy diet, you will lose weight, if this is you goal. In addition, playing sports and exercising enough helps correct your figure. Do you practise sports? For example gym or running? Which sports do you do? Less than 3 times a week? More than 3 times a week? How much time do you exercise at a time? if you exercise enough and sports, this increases your well-being. Do you do move? For example biking to work or walking the dog? Do you sometimes skip main meals? Do you take the time to eat? Do you have binge eating? Do you feel when you have eaten enough? 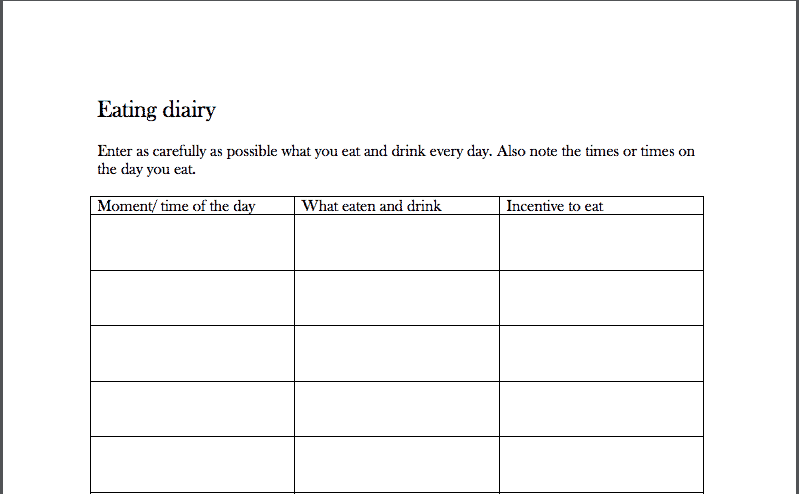 Download eating diary in right bar. We can imagine that you have questions after completing this Health Check. On the basis of this form we can contact you to answer any questions you may have to reach an appointment. Maybe, I like to have a phone call before I decide.